Older women are at higher risk for developing breast cancer than younger women are–almost half of all breast cancer cases, and most breast cancer deaths, occur in women who are 65 or older. Despite this, we know very little about how breast cancer and its treatments affect older women. In particular, we don’t fully understand how the disease and chemotherapy treatments affect a woman’s ability to function and perform daily activities. To learn more about how breast cancer and its treatments might affect older women’s abilities to function, a team of researchers designed a study. They published their results in the Journal of the American Geriatrics Society. Do you have trouble with strenuous activities, like carrying a heavy shopping bag? Do you have any trouble taking a long walk? Do you have any trouble taking a short walk outside the house? Do you need to stay in bed or in a chair during the day? Do you need help with eating, dressing, washing yourself, or using the toilet? In their new study, the researchers’ goal was to learn about changes in the participants’ ability to perform daily activities after the participants received chemotherapy. The researchers also wanted to learn more about why some women lost some of their abilities–or experienced a decline–in performing daily activities, and why other women were able to recover the abilities they had before their treatment. The researchers said that their findings might help identify breast cancer survivors at risk of physical function decline and might shed light on future treatments designed to decrease this risk. The researchers learned that short-term decline in physical function was common among older adults treated with chemotherapy for breast cancer. 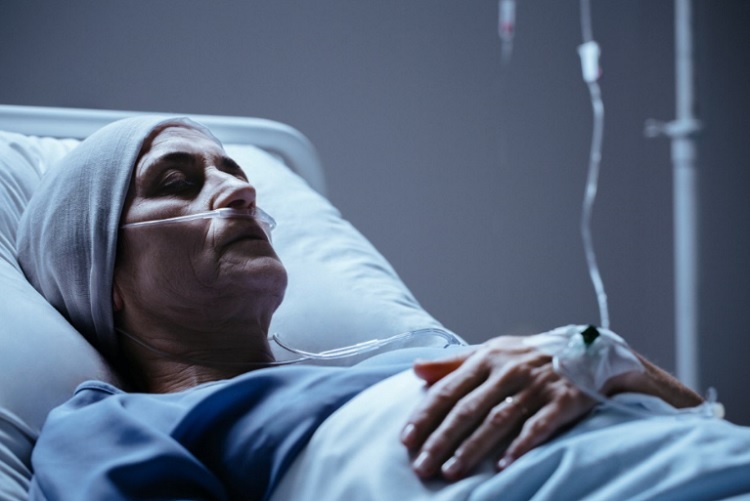 In the study, almost half (42 percent) of the participants experienced a decrease in their ability to function from pre-chemotherapy to the end of treatment. And almost one-third (30 percent) of the participants experienced a decline in their ability to function from before they started chemotherapy to 12 months later. Among patients who experienced physical function decline from before chemotherapy to end of chemotherapy, about half (47 percent) were resilient, meaning they “bounced back” to the activity level they previously had within 12 months after starting chemotherapy treatment. The impact of treatment on physical function is an important consideration for older adults. Functional decline is associated with loss of independence and increased risks for hospitalization and nursing home placement. Interestingly, some older adults who experience problems performing their daily activities after cancer treatment are able to bounce back. Also known as “resilience,” this process of recovery is considered vital to successful aging. Resilient older adults may be more able to recover after a stressful experience like chemotherapy. “In our study, about half of the patients who experienced functional decline were able to ‘bounce back’ to their former function, and we considered them to be physically resilient,” said the researchers. “We also learned that half of the patients were resistant to decline, and maintained their functional status throughout treatment,” they added. Diet and exercise programs. One study showed that starting a diet and exercise program within 18 months of breast cancer diagnosis is linked to an improvement in the ability to function. Behavior Interventions. In one study, 49 percent of older, overweight survivors of breast, colorectal, and prostate cancer who enrolled in a two-year exercise, diet, and weight-loss program did not experience a decline in their abilities to function. In fact, 57 percent recovered to their pre-treatment level. This summary is from “Functional Decline and Resilience among Older Women Receiving Adjuvant Chemotherapy for Breast Cancer.” It appears online ahead of print in the Journal of the American Geriatrics Society. The study authors Arti Hurria, MD; Enrique Soto-Perez-de-Celis, MD; Jacob B. Allred, MS; Harvey Jay Cohen, MD; Anait Arsenyan, MPH; Karla Ballman, PhD; Jennifer Le-Rademacher, PhD; Aminah Jatoi, MD; Julie Filo, BS; Jeanne Mandelblatt, MD, MPH; Jacqueline M. Lafky, MS; Gretchen Kimmick, MD, MS; Heidi D. Klepin, MD, MS; Rachel A. Freedman, MD, MPH; Harold Burstein, MD, PhD; Julie Gralow, MD; Antonio C. Wolff, MD; Gustav Magrinat, MD; Myra Barginear, MD; and Hyman Muss, MD.